GTBank customer care – I once had an issue with my debit card, in fact I misplaced it, didn’t really know its way about. During this period, I developed this sense of insecurity and was so unease. One funny thing in my case was that I couldn’t lay my hands on my bank’s Customer care line as fast as I’d ever wanted to, on the heat of the moment. But finally I did. What could you learn from my experience, I was beclouded with every sense of insecurity, of course where a man’s treasure lies there you find his heart, after all I’m not a super human. The essence of this guide is to arm you with GTBank customer care details, just in case you find yourself in my situation as a GTBank customer. 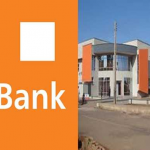 GTBank Nigeria complaints, email address and more. GTconnect 24 hous contact center is as well represented by any of the following: Gtb Connect, Gt Connect, Gtbank Connect etc. The GTBank transfer code *737# and so on. Kindly visithttps://www.gtbank.com , on arrival you will see a chat/message icon that says chat, click on it. It will then lunch an interface where it says “introduce yourself” enter your name and email address, phone number, select your enquiry or issue type then enter your message and click on start chatting, with this you will get appropriate response from the GTBank customer care representative. This has been one of the recurrent questions to gtbank customer care and I’m committed to doing justice to it at this point. You can actually change your phone number in a gtbank account in case you misplace your phone or maybe you do not have access to such number any more or for any other reason best known to you, giving that debit and credit alerts are sensitive aspects of banking. Upon confirmation of the correctness of details, your contact phone number will be changed, this will usually happen in less than 24 hours. Banking in Nigeria has gradually evolved to a do it yourself even from the comfort of your home, it’s on this premise that GTBank customer care details have been made available to its valued and numerous customers like you to take a speedy advantage in making enquiries and complaints. Thank you for your time, drop your questions in the comment box if any.